We believe in keeping you and your family safe. This can be accomplished through education and proper safety precautions around the home and work-space. If you do have a snake problem, we're here to help. We believe snakes are a valuable resource in the community. 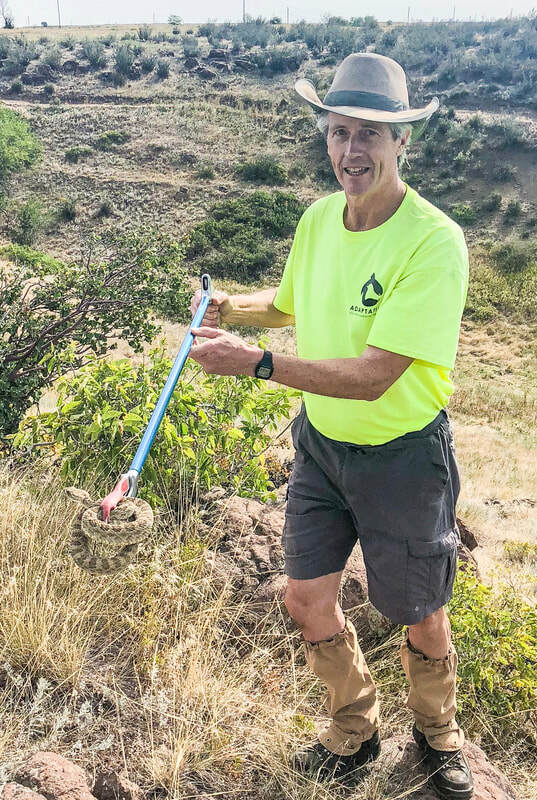 Snakes, even the venomous species, contribute to the functioning open spaces of beautiful Colorado by eating rodents and reducing the spread of diseases. If your home, yard or work space provides habitat (food and shelter) then you may provide a home a rattlesnake! We love rattlesnake, but you don't have to! We believe that preventing rattlesnakes from entering your home is what is best for you and the snake.